The State Department has issued a travel warning for Americans traveling in Europe over the summer, citing the abilities of ISIS and al Qaeda to carry out terror attacks in major cities throughout the continent. "Recent, widely-reported incidents in France, Russia, Sweden, and the United Kingdom demonstrate that the Islamic State of Iraq and ash-Sham (ISIS or Da’esh), al-Qa’ida, and their affiliates have the ability to plan and execute terrorist attacks in Europe. While local governments continue counterterrorism operations, the Department nevertheless remains concerned about the potential for future terrorist attacks. U.S. citizens should always be alert to the possibility that terrorist sympathizers or self-radicalized extremists may conduct attacks with little or no warning," the warning states. "Extremists continue to focus on tourist locations, transportation hubs, markets/shopping malls, and local government facilities as viable targets. In addition, hotels, clubs, restaurants, places of worship, parks, high-profile events, educational institutions, airports, and other soft targets remain priority locations for possible attacks. U.S. citizens should exercise additional vigilance in these and similar locations, in particular during the upcoming summer travel season when large crowds may be common," it continues. "Terrorists persist in employing a variety of tactics, including firearms, explosives, using vehicles as ramming devices, and sharp-edged weapons that are difficult to detect prior to an attack." The warning comes after a long list of recent terror attacks carried out by Islamists driving trucks into crowded areas. 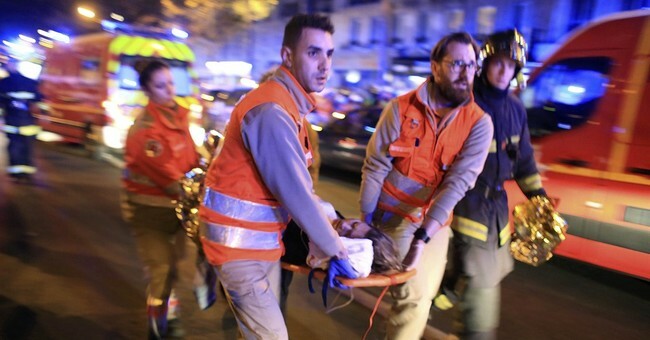 Over the past two years, Paris and other areas of France have experienced major terrorist attacks from ISIS sympathizers. The alert went into effect Monday May 1 and continues through September 1,2017.